Provide comfort for the family of Russell Sirianni with a meaningful gesture of sympathy. 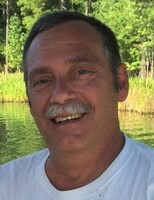 Russell Paul Sirianni, 60, of Waldoboro Maine, went to be with the Lord on April 1, 2019 with his wife Amy by his side. He was born on Nov. 8th, 1958 at Southington Hospital in Southington Ct. His childhood was filled with many relatives who loved him. 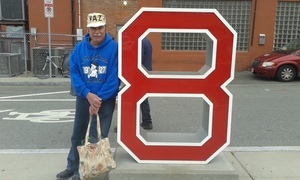 During those years he developed a love for the Red Sox. He declared early in the season last year that this was the “best team ever”. He was right. He met his wife of 30 years in 1986. They fell in love and were married on Aug. 27, 1988. The couple moved to Maine in 1989 and never looked back; he appreciated Maine more than anywhere else. Russell loved his son, Ryan, and daughter Emily above all. Every year he brought his family to Cobb’s Pierce Pond Camps in Pierce Pond Township, Maine. It was always a magical time, with many fishing/boating stories, camping, campfires, swimming and hiking. The Cobb family likes to spoil their guests, and we were no exception. Russell started Mid Coast Diaper Service, a cloth diaper service, in 1989, and ran that business for almost 10 years. He then worked for Intelligent Signage Incorporated for 16 years. He spent the last three years working with young children through Child Development Services. At age 18, Russell hitchhiked across America. He left with $5.00 and a backpack and arrived back home with the same. He attended Unity college, graduating in 1983 as valedictorian, and not surprisingly, earning the award for hardest working graduate. Russell was a member of First Baptist Church in Waldoboro for 20 years. 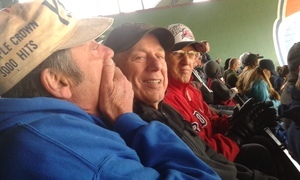 He drove countless missionaries to Logan airport, set up chairs every week, sat on the Missions Committee, arranged fishing trips to Pierce Pond, and yearly trips to see the Red sox. He befriended everyone there, and was known for saying “it’s a beautiful thing”. He was also “the birthday man”, as he never missed a birthday. Russ was active in his community over the years, volunteering at Miller School for 10 years, sitting on the Library Committee when planning the new Library, and donating blood at every opportunity. Russell is survived by his wife, Amy Jo, his son, Ryan Sirianni of Waldoboro, 28, and his daughter, Emily Sirianni of South Thomaston, 24. He is survived also by his mother, Joan Monico of Belfast Maine, his father, Russell Sirianni of Bristol CT., his sister, Carolyn Sirianni, of Sharon, CT., his Aunt Connie and Uncle John McCluskey, and his Aunt Sylvia Imperator, as well as many, many cousins. Services will be held at First Baptist Church, 71 Grace Avenue, Waldoboro, Saturday April 6. There will be a viewing at 10:00 a.m., with a service to follow at 11:00. All are invited to stay for a reception following the service. A private family burial will be held later this spring at the Old German Church in Waldoboro. In lieu of flowers, donations can be made to the Sussman House, 40 Anchor Drive, Rockport, ME 04856, Maine Wilderness Watershed Fund, P.O. Box 5660, Augusta, ME 04332-5660 or the First Baptist Church Building Fund, P.O. Box 324, Waldoboro, ME 04572. Arrangements have been entrusted to Hall’s of Waldoboro. To extend online condolences, visit www.hallfuneralhomes.com. Donations are being accepted for: MAINE WILDERNESS WATERSHED TRUST INC.
Love Aunt Sylvia sent flowers to the family of Russell P. Sirianni. Russ & I Go Back 50 years!,We grew up together in our youth,shared an apartment together in our late teens,I visited him in his Summers on the Martha's Vineyard,Camping trip in Vermont,so many memories to mention here.I moved to SC in the 80's,and we lost touch,fast forward to 2008,through Russ's cousin Brian we got reconnected,I worked for him Installing Signs,and we both shared our new found Faith in Christ,we became closer than ever.I know this is a sad time for his family as well as me,but I know he is hearing,"Welcome Home,well done faithful servant !,I Love You Russ,We'll Meet Again! Don Shulenburg Russ was a huge presence in my life. We spent our late teens to early 30's together. Everyone knows of his infectious personality. He also had a powerful intellect which I was lucky enough to engage with many times throughout our formative young adult years. We had conversations on everything from the stooges to sports, or, music to the universe, on a regular basis. It is rare to find people that you automatically connect with on many levels and I was fortunate enough to have had Russ cross my path. He was child-like in his gregarious embrace of life and interacting with friends and strangers alike, a trait way to many of us lose as we age. Plus we shared a very off-center sense of humor and laughter came easily to him. I was so happy for him when he found and married Amy. God bless Amy and his children in their hour of grief. Russ has been and always will be be an important part of my life. I take solace in his faith and what it will now accord him. Rest in peace my friend.